The Axil X from Byrne is a stylish table edge AV mount that clamps to the edge of a table. 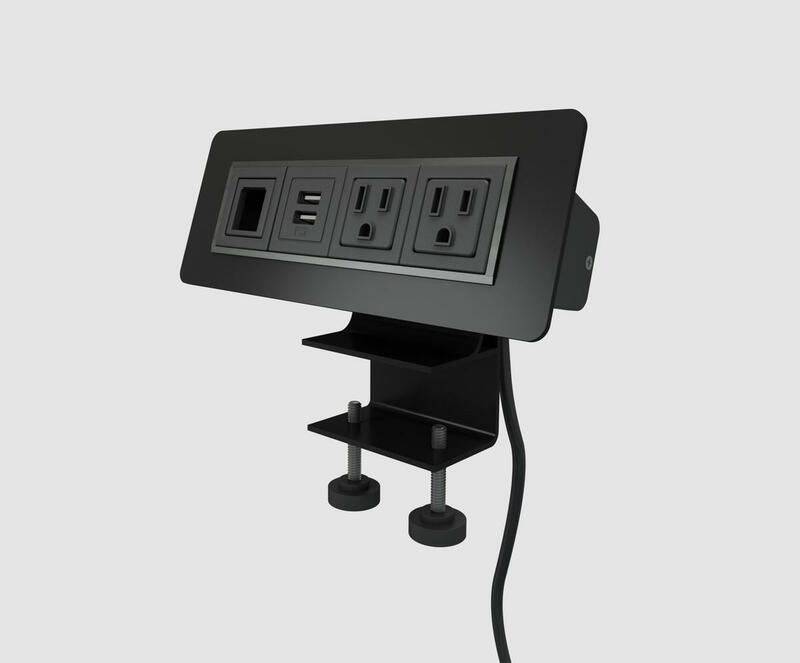 It consists of 2 power with 10' cord, 2 charging USB ports, and 1 HDMI connection. The HDMI connection on the backside is 18" long and female. The charging USB ports are integrated into the power in the unit, this makes it to where an additional power cord is not required. The Axil X can be clamped to any surface with a thickness of 3/4" to 1 3/4". The unit ships standard in gloss white but can be upgraded to gloss black for an additional charge. 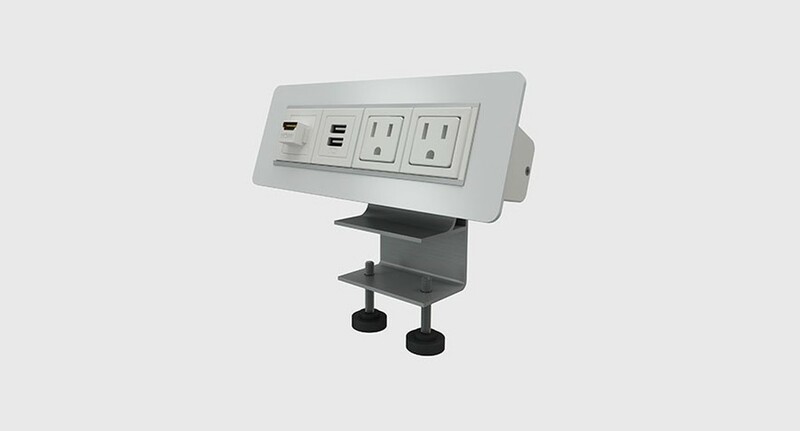 Table clamping mounts are perfect when you don't want to cut a hole in your table or you are looking for a table AV box that can be moved from location to location with ease. 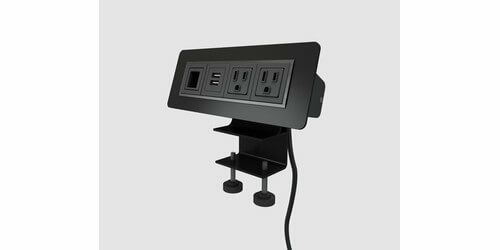 The connections are customizable and up to 4 more ports can be added. The power outlets can even be upgraded to hospital grade UL listed outlets. To request a quote for a different configuration or more connections please call us at 888-999-3759, click here to email us, or via Live Chat.